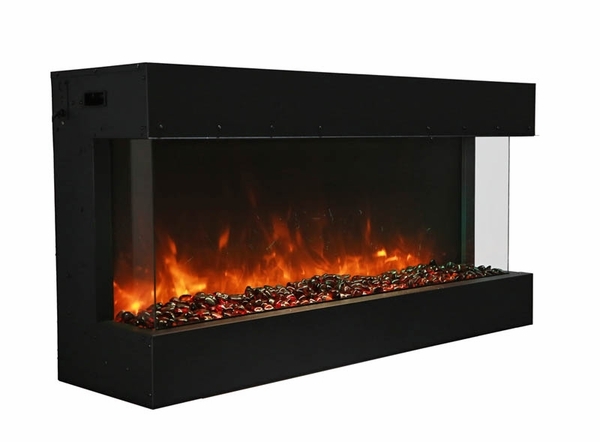 When you're looking for a quality three-sided fireplace, look no further than the Amantii 40 Inch 3-Sided Bay Front Electric Fireplace. 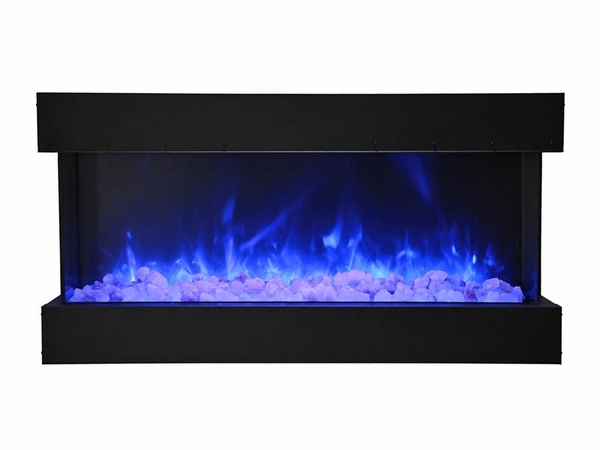 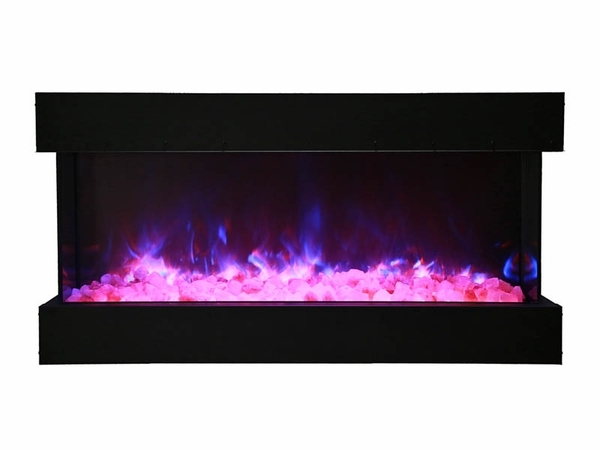 Rated for use indoor or out, this fireplace features the capability to change the flame color from yellow and orange to blue, purple, rose, or violet. 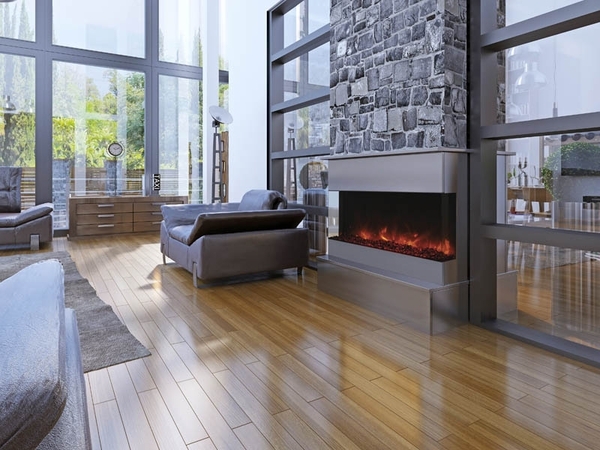 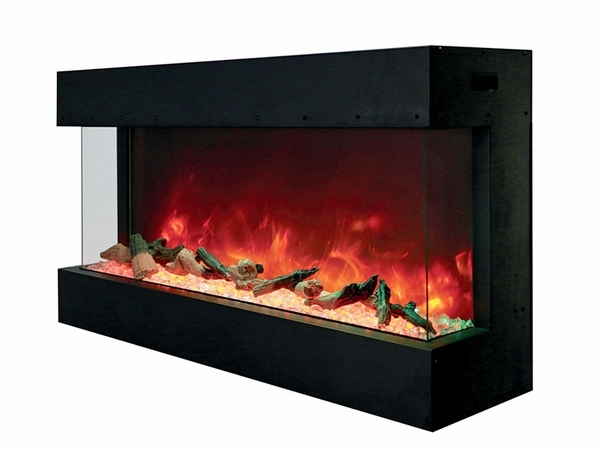 You can even run this fireplace without heat if you so desire! 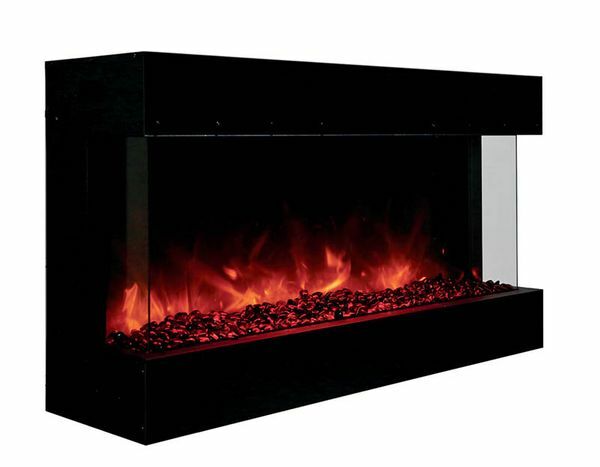 Don't pass by this amazing and high-quality fireplace from Amantii!